I made this short video to tell you about it. Have yourself a watch! 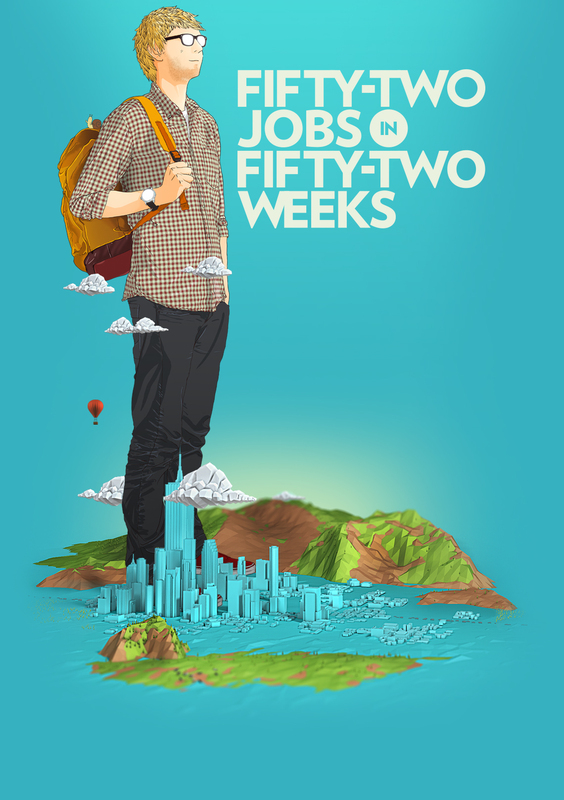 So yeah, 52 jobs in 52 weeks and all of my wages are going to charity. It’s been ridiculous fun so far, so now I've made this website to invite you along for the ride. It'll be a good one, so follow the Twitter, like the Facebook and subscribe on YouTube to join in. Bonus points for all three! In fact, I'll definitely owe you a cookie if you click all three. Make sure you let me know! Let’s grow this beast, have us an adventure, and help change some lives at the same time. lots of good stuff here! All funds raised are being donated to the Prince's Trust charity.